Available at their Tips & Toes stores. 1. Rouge, 2. Valentine, 3. Carnation, 4. Plum, 5. Choco berry, 6. Whisky Brown, 7. Modelicious, 8. Rosebelle 9. Coffee Latte 10. Mud Pie, 11. Orchid, 12. Fantazia, 13. Ginger. The lipstick comes in a pretty black package which has a wide base and a curve in the middle again it expands like base, totally a feminine look. It is very handy to carry with us. The shade is a bright and bold orange with red undertone which resembles raspberry fruit. The texture is very creamy and thick. The pigmentation is awesome yeah!!! it is very well pigmented and can cover pigmented lips. I really love this lipstick's quality and staying power than this shade. This shade is not a daily wear hence it is a bold shade. 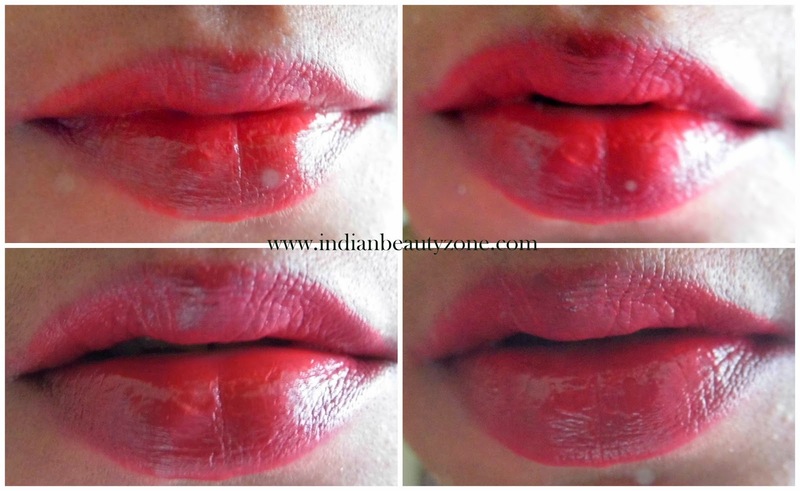 But, you can wear this shade for occasions and parties and I am sure this is a head turner shade. I wear this shade for a evening outing to check the staying power. This lipstick stayed on my lips for 4 hours and fades away gradually leaving behind a soft coral tint. This lipstick is very creamy and tend to melts,prone to break in this hot weather, also bleeds slightly if not applied carefully. This lipstick can be dupe for some high end brand shades. It hydrates the lips very well and I have to say it is a boon for dry lips beauties. This lipstick even out the lips and spreads smoothly all over the lips. Totally for the price it is a great lipstick that fulfills all your lipstick needs. Budget buy and travel friendly. Smooth to apply and doesn't settles on the lip's fine lines. Bright orange shade that can resembles raspberry fruit. Best for parties and evening outings. Stays for 5 hours and later leaves coral tint. Suitable for almost all skin tones except very dark skin. Great pigmentation and one swipe is enough. 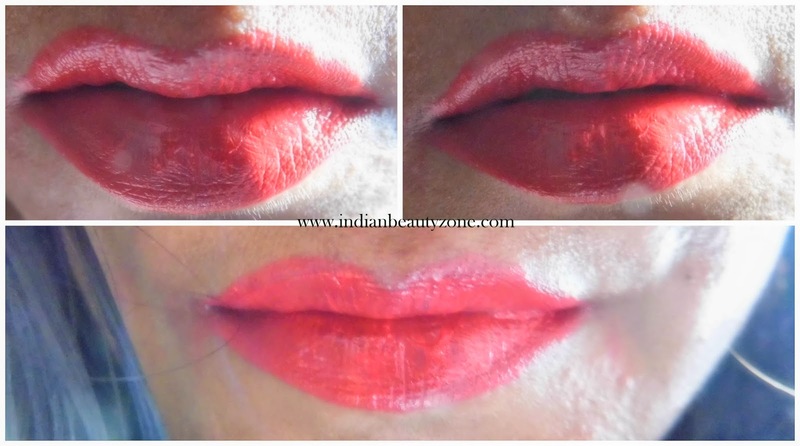 Tips & Toes Hydra Rich Lip Colour 01 Rouge lipstick is a beautiful bright orange shade for those who loves to wear bright shades and I am eyeing on their other shades to pick at least two from this range. Worth for the price totally. Does this shade resembles any other lipstick's shade?